Would you really need a stand mixer or could you manage with a hand mixer? KitchenAid stand mixers have remained popular for quite a while now. The power and the ease of use make this the bakers’ favorite. You also get a lot of exclusive attachments to be used with standard KitchenAid stand mixers. These would be useful to make pasta, juice and much more. This would make your stand mixer a multipurpose kitchen tool. Choosing the right attachments would be another tough job and would further add to your expense. So here is the KitchenAid Artisan mixer best price combo for you. 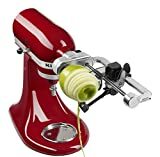 Here is a review of one of the most popular models of KitchenAid and the attachments that can come in handy in many situations. With a whopping 575 watt motor, this is one of the most powerful stand mixers you can get in this price segment. 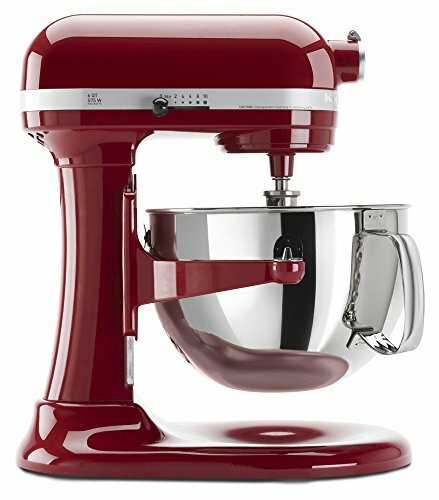 KitchenAid mixers are reliable and have been popular for their fine quality and durability. If you are looking for an intermediate level stand mixer with great power, the Professional 600 series is your best bet. This is great even for commercial use thanks to its higher volume handling capacity and its compatibility with standard professional attachments. The whisk and the spiral hook attachments solve all your baking needs. So you could whip up cake batter or knead cookie or bread dough in minutes. You could use the power hub with 15 different attachments. The powerful motor can handle even tougher tasks like shredding of cheese in a jiffy. The 6-quart bowl is big enough to handle bigger batches roughly like those for 13 dozens of cookie or even 8 bread loaves. So you can make the whole lot in one go. Cleaning is also easy as you could just toss the bowl in the dishwasher. 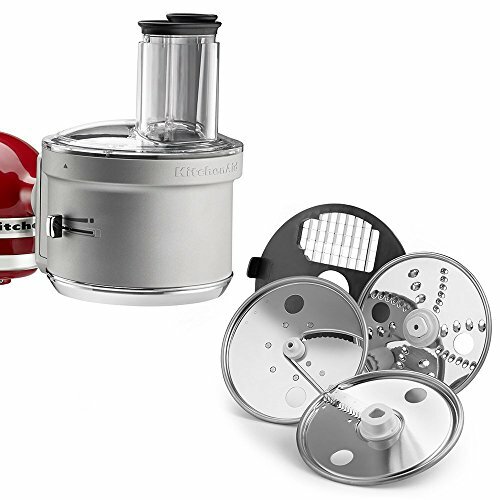 KitchenAid’s signature 67 point motion ensures perfect blending. For better contact, the mixing bowl is steadily held in place at the apt height. You have the convenience to choose from 10 different speed levels. One of the biggest pluses of the KitchenAid mixers which the customers love is the unmatched durability. It has been on the market for decades and still offers the toughest competition in this segment. The pouring shield which is chute style is included in this mixer and it makes the whole process mess-free. The Professional 600 series comes in 10 colors options and with the right attachments, this mixer can almost never get outdated. KitchenAid KSM2FPA Food Processor Attachment, when combined with the mixer, can remove your need to invest in a food processor. With this attachment, you could make salads in no time. and also for making the perfect julienne. It also comes with a neat storage case for the kit. The feeding tube is wide so you could feed larger chunks requiring minimum cutting, thus saving your time. You get a neat job done like in a professional food processor. This makes up for the fact that your KitchenAid mixer would occupy a lot of space. You would not need an additional space for a food processor. Another great attachment to use with the KitchenAid is the KSM1APC Spiralizer Attachment. For some serious culinary decorations, the KSM1APC Spiralizer Attachment is what you need. It comes with 5 different blades that solve all your peeling and spiralizing requirements. There are 2 blades for spiralizing in fine and medium options. The slicing blades also come with small and large core options. The accessories are all dishwasher safe. This attachment also comes with a compact storage box. To conclude, there are many aspects you might love and few you might find as a drawback with the KitchenAid Artisan mixer best price deal or the mixer in particular. The splash shield is a smart addition especially when your recipe calls for lots of flour or icing sugar. As the bowl is in a raised position, sometimes to conveniently add more ingredients you might have to remove the bowl each time. Cleaning the mixer might be a bit difficult. The removable parts you could toss in the dishwasher, however.